J. Suryanarayana Murthy was born on July 7th, 1966 in Kuchipudi Village, Andhra Pradesh in a Parampara Bhagavathulu family. His academic qualification is M.A. History, KSOU. Has learnt Bharatanatyam in Kalakshetra during 1982 (1st Class Diploma and Post Graduation Diploma), Dhananjayan's from 1985 to 1991, Natyapoorna, Dr. R. Nagaswamy from 1987 to 1995 and MHRD Fellowship. Apart from that he has done Sangeeth Vidwan from Tamilnadu Govt Music College from 1993 to 1996, Sanskrit Vichakshna "Distinction" and Rank Holder and got "Distinction" award in Indian Culture exams conducted by Bharatiya Vidya Bhavan. He is a DD 'A' Top Artiste. His Arangetam was on July 10, 1988 at Bharatiya Vidya Bhavan and then the chief Guest was Guru Pakkirswamy Pillai and presided by Krishna Murthy (AIR Director). Has 20 years experience in the field and has performed Bharatanatyam in many places in India (Chennai and other major cities) and in foreign countries like USA, Canada, France, Germany, USSR, UK, Belgium, Re-Union, Ceylon and Sweden and participated in performances with many experts like Dr. Sudharani Raghupathy, Lakshmi Viswanathan, Narasimhachari, Jothi Raghavan, Menaka Takkar, Dr. Nagaswami, Radha, Venniradai Nirmala, Dr. Vempatichinna Sathyam, Radhika, Sheshadri Swamigal, Adayar Lakshman, Revathy Ramachandran, Dr. M. Balamurali, Anitha Rathnam, Dhananjayans, Pt. Ravi Shankar, Mrs. Y.G.P, J. Venkatachalapathi etc. Done performances of Kalakshetra and has also done many Solos in festivals. Has got many Awards and Prizes like Bharatha Kalarathna, Natya Kalarathna, Best Male Dancer - NGS, Yuva Kalabharathi, etc. 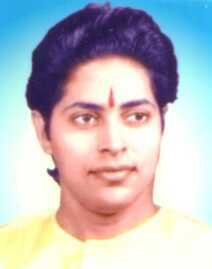 and also worked as I.C.C.R Pannel - Member 2000 and Abhai - Life Member - Theory Teacher. Has done choreography for solos and Dance Dramas like Appar, Gana Sambandar, Arunagiri Nadhar, Sundaramurthy, Manimekalai, Divya Prabandam and Hanuman Chalisa.